Venom just received his own multiverse adventure, and now he’s getting his own company? 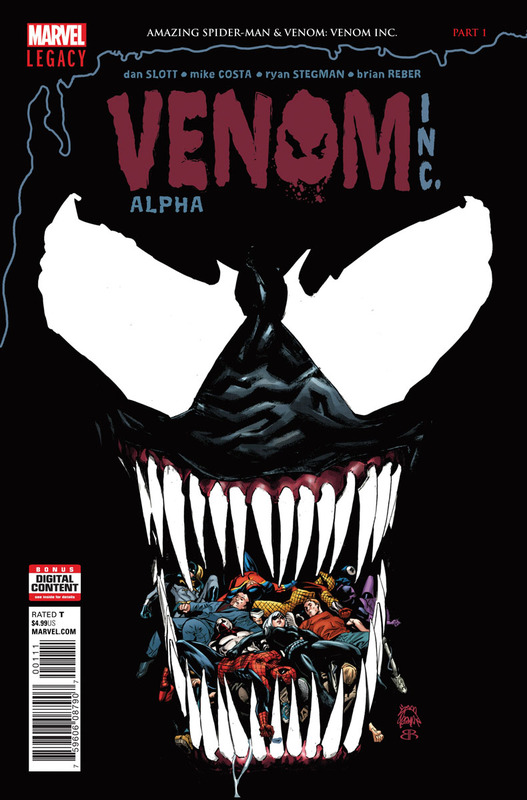 Or at least “Venom, Inc.” is kicking off in December. Eddie Brock breaks back into the upper tiers of the Fantasy Comic League with a crossover between his book and The Amazing Spider-Man. What does the symbiote have in store for three of its most notable hosts? Black Panther also expands his presence in the comics with a new title: “Long Live the King” which follows T’Challa performing his more regal of duties. Deadpool and Old Man Logan continue their tussle in their verses title, while Peter Parker and Miles Morales reach the conclusion of their latest Spider-Men collaboration. Two new titles are born from fire. Marvel Two-In-One returns with Human Torch and the Thing and the long-awaited return of the original Jean Grey takes place in Phoenix Resurrection. It should be noted that like the other younger, time-displaced X-Men, Marvel Girl and the soon to be returned Jean Grey are separate characters. 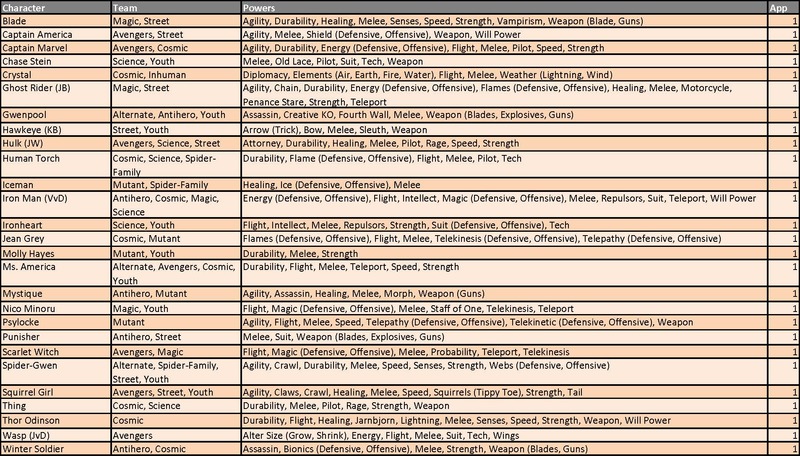 Please also pay attention to the power categories in the tier charts as many of the abilities have been simplified to focus mainly on the generic, defensive or offensive use of the ability. Best of luck to all divisions of the Fantasy Comic League: #Midtown, #Multiverse, #Wakanda and our new division, #Knowhere. Power rulings and definitions have been revised based on participants’ review in the previous month. Please see the attached Power Summary file for further power clarifications. Please follow along with our #FantasyComicLeague tweets on our Twitter for official power scoring and discussions. Seasons run for four months, stay tuned for your chance to join the official league and win a trade paperback of your choice! These appearance estimates, based on comic solicitations and cover artwork provided by the Marvel Database wiki, are meant as a guideline and not an indication of a specific draft order. Character names, team designations and power sets conform to the most current information provided by the Database. Power designations are simplified for easier classification and choice, providing the majority of the heroes with 9 to 11 eligible powers from which to choose. As a reminder, you may only have one hero per team designation on your roster and are allowed to select three powers from the heroes’ power set. Powers in (parenthesis) are a subset of the overall ability and can be selected as well as the generic use of that power. For example, Deadpool can be drafted as any of his four team classifications and can use Weapons, Blades and Guns as his three powers (Blades and Guns being a subset of the overall Weapons skill).